The Cerebral Palsy Research Network (CPRN) is a group of doctors, therapists and patient advocates collaborating to improve treatments and outcomes for people with CP. The network combines the expertise of doctors and therapists committed to treating CP with clinical epidemiologists and rigorous data collection practices to plan and execute high quality clinical trials and quality improvement protocols. 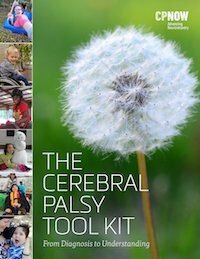 The mission of the Cerebral Palsy Research Network (CPRN) is to improve outcomes for people with cerebral palsy through high quality clinical research and quality initiatives. The Cerebral Palsy Research Network (CPRN) investigators will be presenting in eight sessions this fall at the combined American Academy for Cerebral Palsy and Developmental Medicine (AACPDM) 73rd Annual and the International Alliance of Academies of Childhood Disabilities (IAACD) 2nd Triannual meeting. All of CPRN’s new abstracts have been accepted including one scientific presentation, five posters and one breakfast seminar. The eighth presentation is a focused symposium in which CPRN will contribute to a panel discussion of CP registries across the world. As mentioned in the blog post from February 6, 2019, we believe the CPRN registry is gaining traction to advance research in CP. We are honored to have the recognition of the scientific program committee of AACPDM and IAACD. CPRN congratulates all the investigators who will be presenting their scientific efforts and thanks all the network sites for the many contributions to the registry and CPRN’s scientific collaborations.